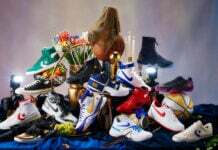 The entire set of Air Yeezy shoes have been the source of a slew of custom sneakers, but leave it to Chef Gourmet to up the ante with his latest custom sneaker project. 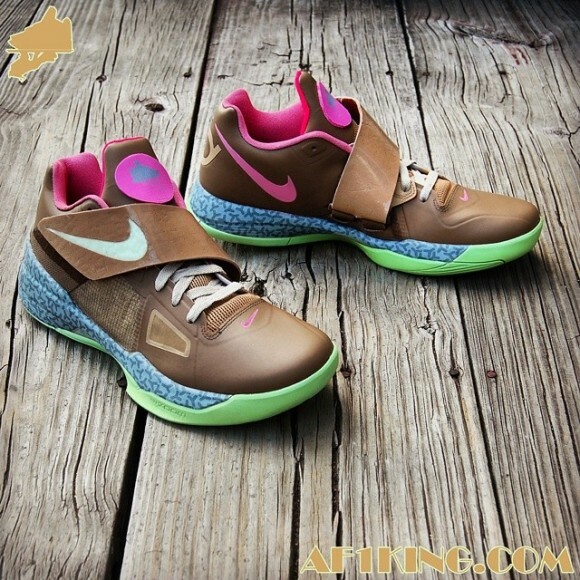 The Nike “Net KDeezy 4” customs by Gourmet Kickz have most tan leather uppers, along with mint green and pink accents present throughout the sneakers. 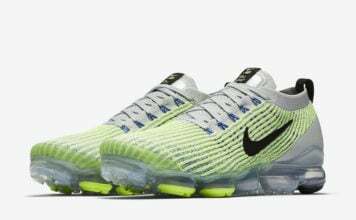 Just as the original Nike Air Yeezy Net, the mint green makes its presence known on the outsoles, which is topped off the dual-toned grey graphic midsoles. 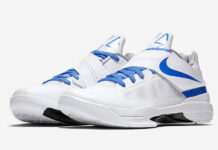 Bubble gum pink adds its contribution to the shoes with the interior lining, and the Nike Swoosh that is tucked away inside the pair of the Nike KD 4s. 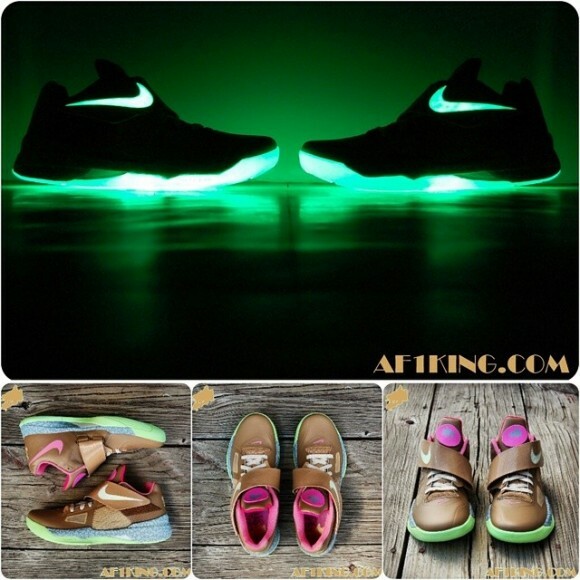 Staying true to the original Air Yeezy shoes, Chef Gourmet has equipped these customs with full-on glowing abilities. 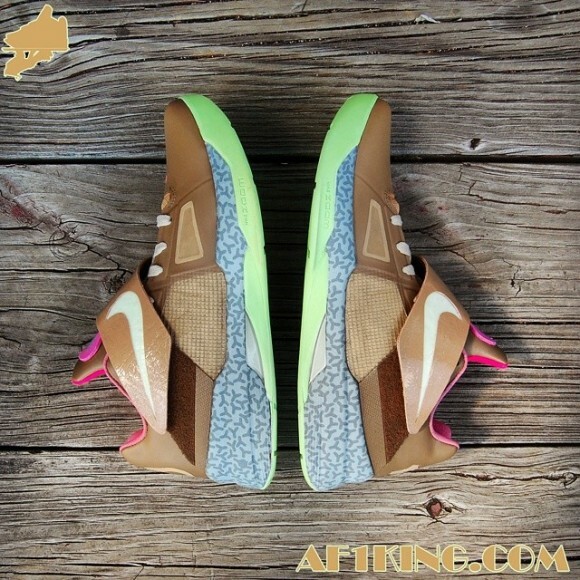 This has to be one of the best Air Yeezy themed customs we’ve ever seen. 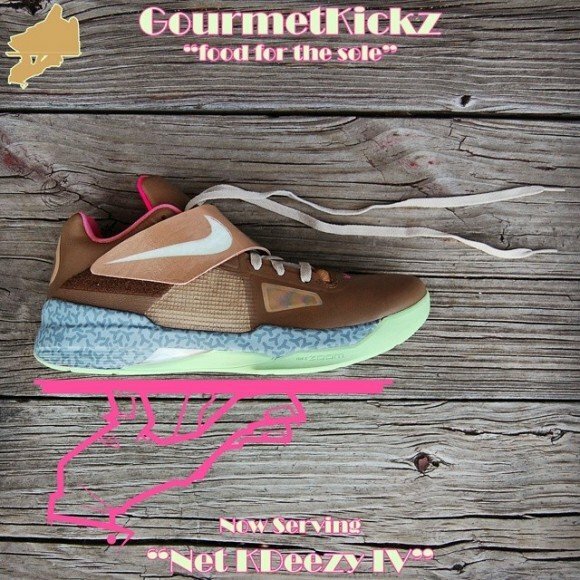 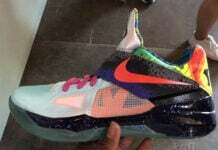 Gourmet Kickz translated all of the components of the original shoes perfectly to this low top model. 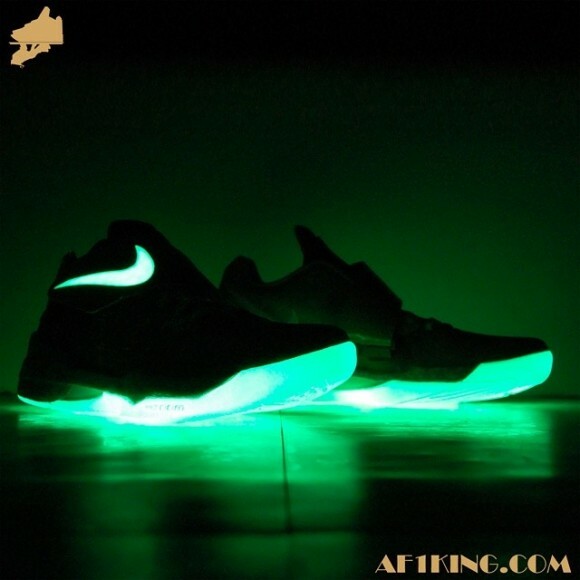 Keep scrolling down the page to check out more angles of these shoes, including an amazing glowing shot.